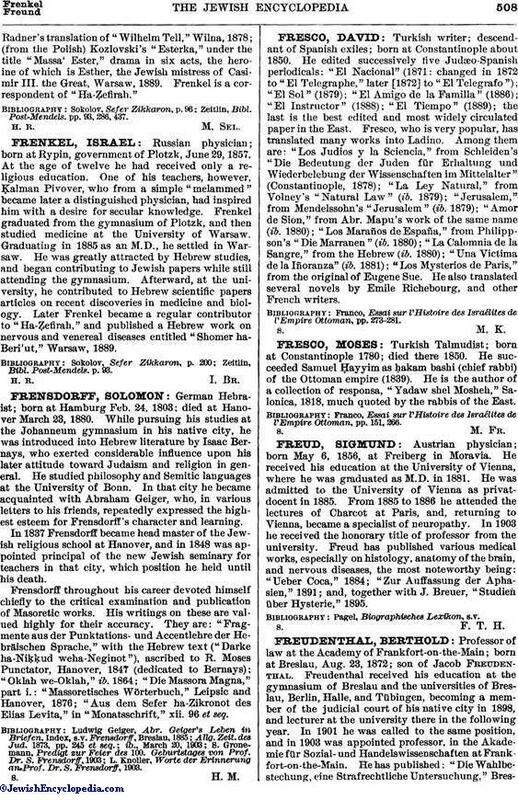 Professor of law at the Academy of Frankfort-on-the-Main; born at Breslau, Aug. 23, 1872; son of Jacob Freudenthal. 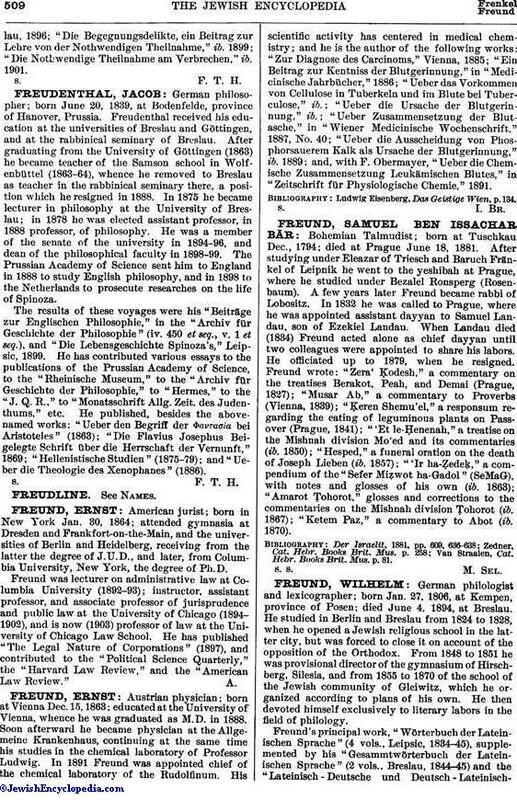 Freudenthal received his education at the gymnasium of Breslau and the universities of Breslau, Berlin, Halle, and Tübingen, becoming a member of the judicial court of his native city in 1898, and lecturer at the university there in the following year. In 1901 he was called to the same position, and in 1903 was appointed professor, in the Akademie für Sozial-und Handelswissenschaften at Frankfort-on-the-Main. He has published: "Die Wahlbestechung, eine Strafrechtliche Untersuchung," Breslau,1896; "Die Begegnungsdelikte, ein Beitrag zur Lehre von der Nothwendigen Theilnahme," ib. 1899; "Die Nothwendige Theilnahme am Verbrechen," ib. 1901.